You can use any two types of cheese or meat in this simple grilled sandwich recipe. 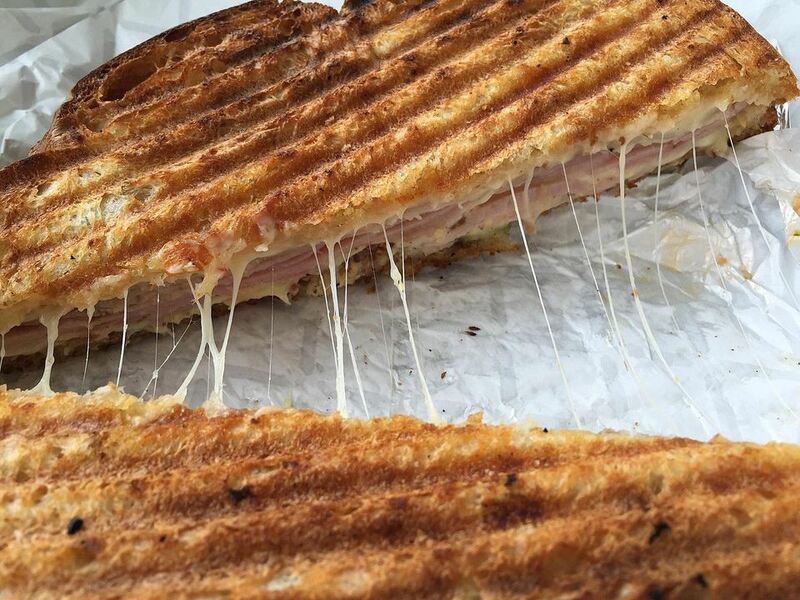 What makes it 'Cuban' is the pressing of the sandwich as it cooks, and the combination of ingredients. Pickles, cheese, and several kinds of meat are typically used in this sandwich. If you don't have a panini grill or George Foreman grill, place a heavy skillet on the sandwiches as they cook in a skillet, then turn, weight the sandwiches, and cook until golden. You can also use whole wheat or sourdough bread in place of the French rolls or Kaiser buns in this recipe. What makes it delicious is the combination of the crisp bread with the melted cheese, tangy pickles, and tender meat. The original Cuban sandwich is made of "French type bread, butter, mustard, Swiss cheese, pickles, honey cured sweet ham, and pork shoulder" according to Fernando, who wrote to tell me about it. Preheat a panini grill, indoor grill, or waffle iron according to the product instructions. Spread the butter on the cut sides of rolls, then spread the mustard on them. Make sandwiches using the coated split rolls, using the pickles, Swiss, ham, Provolone, and roast pork, layering in the order provided in the ingredient list. Place each sandwich on the grill (or grill more than one at a time if your grill allows it) close the cover, and press down if necessary, using a kitchen towel or oven mitt to shield your hand. Grill for 4 to 5 minutes until the sandwiches are crisp and hot and the cheese is melted. Cut in half and serve immediately.